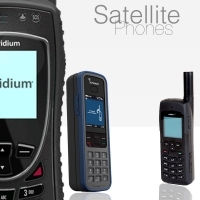 At NorthernAxcess we realize that not everyone fits into the category of owning such equipment, so we provide the best in the worlds only totally global iridium satellite phone rental packages that include not only the phone but include the minutes as well. Our rental plans start at 2 weeks minimum period, giving you everything you need for your tirp or adventure and we assist you in helping you monitor your minutes used, as well as give you one of the industries lowest rental overage per minute rates at $1.25 per minute. Download our Rental Agreement here and fill it out and fax it back at 866-657-5671 or email it to us at admin@northernaxcess.com. Talk to one of our specialists today, to find out what iridium model is best for you, or select from the rentals, there all the same rates. Click the desired device to Begin your Rental Order. *The Iridium GO! Unlimited Plan is available only for the Iridium GO! device, and requires a one-month minimum rental. -Calls to all other Satellite Networks (i.e. : Inmarsat, Thuraya, Globalstar, etc... ) will be billed at Minute Usages of $10.95 per minute for all plans. - Free Incoming Text Messages (SMS), Free Direct-Dial Incoming Calls (Caller to Satphone is Billed International Rates), and Free Two-Stage Dialing Service for all plans. -Per minute fees apply when using voicemail services for all plans. -Calls to all other Satellite Networks (i.e. : Inmarsat, Thuraya, Globalstar, etc... ) will be billed at Minute Usages of $10.95 per minute for all plans. - Free Incoming Text Messages (SMS), Free Direct-Dial Incoming Calls (Caller to Satphone is Billed International Rates).